Founded in 2005 to improve the performance, efficiency and transparency of organizations working in the public and private sectors, Ethos recognizes the value of building partnerships, engaging stakeholders and creating meaningful opportunities for outreach. Ethos Strategic Consulting is dedicated to improving our clients’ mission performance with measurable results. 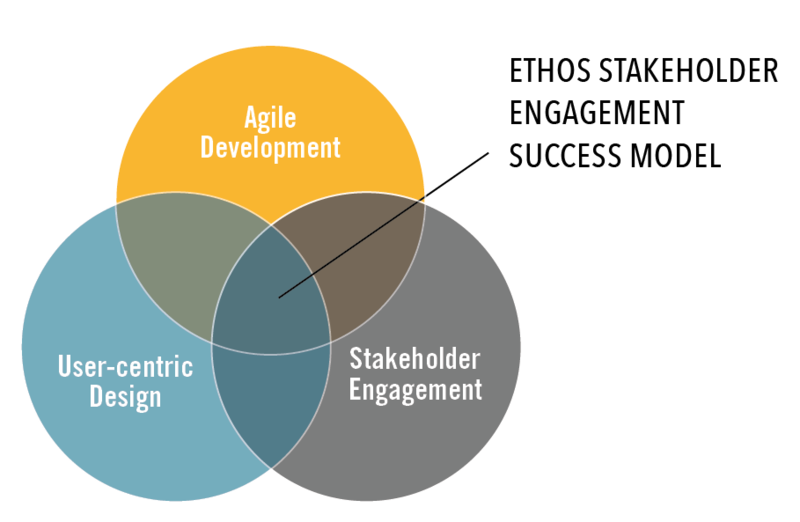 At Ethos, we believe successful organizations are built on a set of shared values and a collective desire to make an impact, and begin each engagement by exploring these distinguishing values in order to guide our strategy and approach. We provide quality stakeholder engagement, strategic communications, digital strategies, public relations, marketing campaigns, partnership building and strategic planning services while building lifetime client relationships. Ethos is an economically disadvantaged woman owned small business (EDWOSB). You may download our Ethos Core Capabilities statement here. © 2019 Ethos Strategic Consulting. All Rights Reserved.